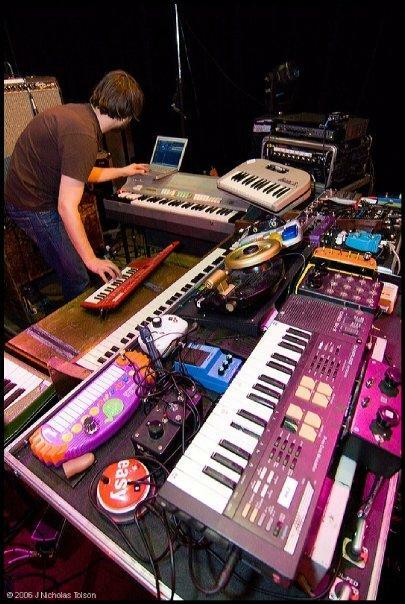 A circuit bent instrument devotee Marco Benevento is currently on Tour around the US. Make sure to check out his amazing piano skills and improvisation abilities when it comes to playing along with bent devices. Don’t miss his show because about the only Midwest Dates are: Thursday 4/9/09 in Chicago @ Logan Square Auditorium. Friday in Des Moines – IA. Saturday @ Dakota in Minneapolis where I’m hoping to catch his performance and also maybe ask a few questions for GetLoFi. Then back to CSPS in Cedar Rapids, IA on Sunday April 12th at 7PM! Benevento Russo Duo – show starts 2am.